This year has seen a couple of early tormentas – electrical storms – that have cooled the air and started greening up the semi-arid valleys around Oaxaca. The storms themselves are dramatic with thunder that echos through the valley setting off car alarms. They bring floods to some areas and hail to others, washing the streets and cleaning the dusty hot dry air. The moisture also brings out the crickets that hole up in cracks in the adobe and stucco walls throughout the city. The cool night air is a kind of Zen concert of their single pure-pitch tones. The city of Oaxaca (often called the ‘cultural city’ of Mexico) isn’t about to let a whole month pass without a little cultural nudge and coincidentally the annual tour of documentary films called Ambulante is hitting Oaxaca this month with some screenings just a few blocks away from Hotel Azucenas. (Young People in Art) festival with concerts, poetry readings, dance, art openings and still more films. Opening night was a free rock concert by El Tri in the open-air Guelaguetza Auditorium on the hill overlooking the city. Closing night is another free concert, this one by Celso Piña. 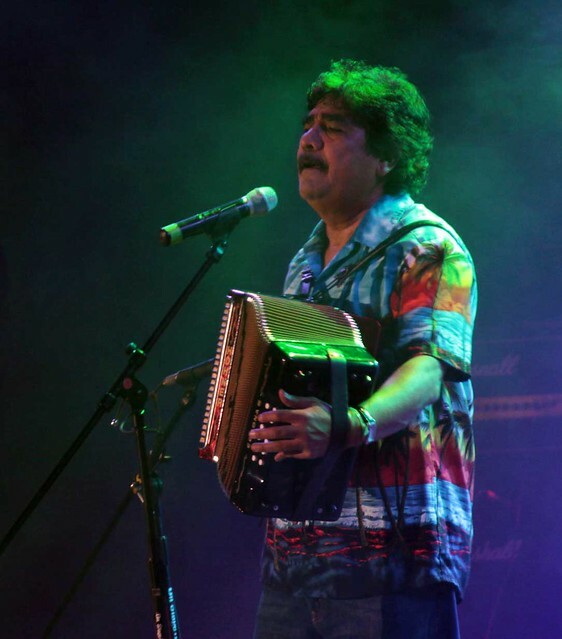 Piña is a beloved Mexican accordion player and pop artist who’s song “Aunque No Sea Conmigo” (“Even though it won’t be with me) is one of the saddest and mostly widely covered songs in Mexico https://www.youtube.com/watch?v=ryDcnSZ5q_U This ia a song you can hear covered almost any night by solo artists playing in one of the restaurants around the zocalo in Oaxaca. The concert will be held at the outdoor Plaza de la Danza just a block downhill from the hotel! So May, historically a quiet month in Oaxaca, continues to be low-key but is shaping up to be interesting, full of great events and blessed by occasional and dramatic thunderstorms. Photos thanks to:farm7.staticflickr.com/6100/6326598573_2402e717c8_z.jpg;www.diariomarca.com.mx and poligrafodigital.com; text thanks to Gordon, a great friend of Hotel Azucenas and 5 year resident of Oaxaca.